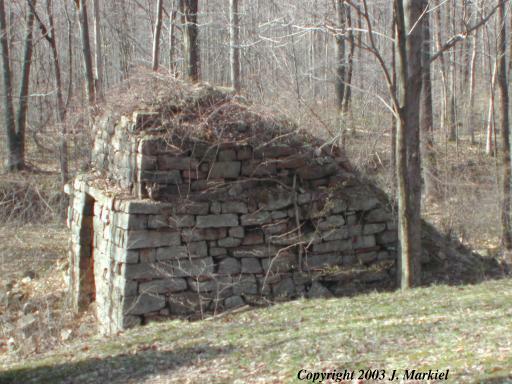 Fountain Furnace is a classic example of the earliest iron furnaces in this region. The furnace did not possess any blast mechanism and relied entirely on the loading process to produce the desired quality of iron. 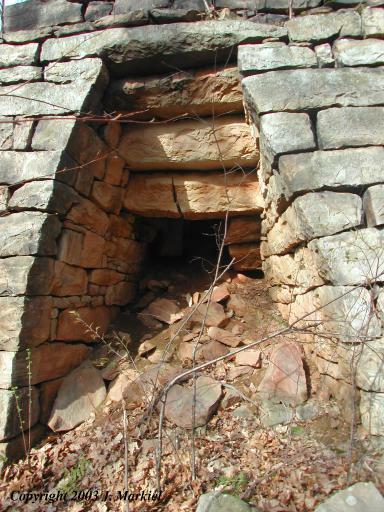 The rear portion of the furnace has disintegrated and the inner portion has some rubble and fill. 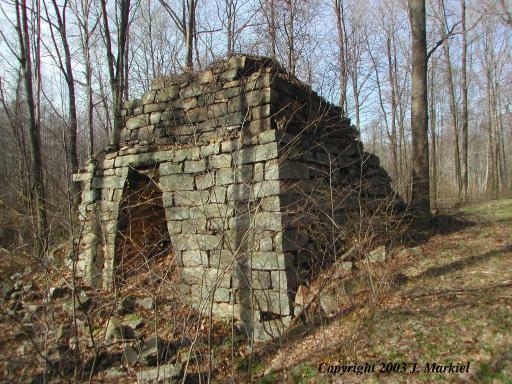 Overall, the furnace is in reasonable condition given the level of construction and the relative age of the site. 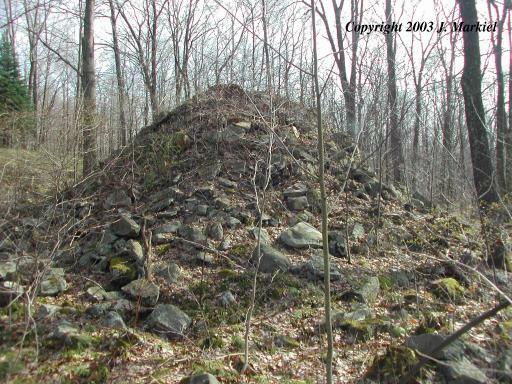 The stack measures 30 feet square at the base. Take PA 31 to State Route 711 to State Route 381. Stay on 381 for 0.7 miles, there will be a dirt road to the right (east). Follow for 0.4 miles, the road will turn left (north). Follow the road until you reach a "Y" intersection. Park and walk down the right hand path. The furnace is on private property (you will go through a locked gate) and you will need to walk approximately one mile to reach the site. You will pass a cabin on the left, continue until you reach the second cabin on the left. The furnace is just behind the furnace down the hillside.